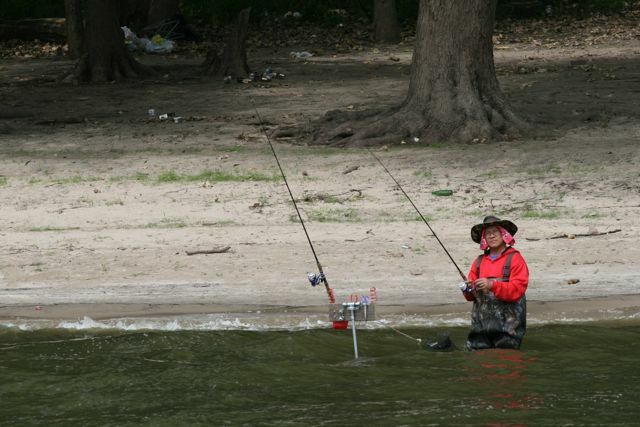 of anglers, wearing waders, using these rigs to manage two poles at once. quite close and quite fast, leaving Dragonfly rocking in their wake. Our silent electric engine doesn't startle silver carp . 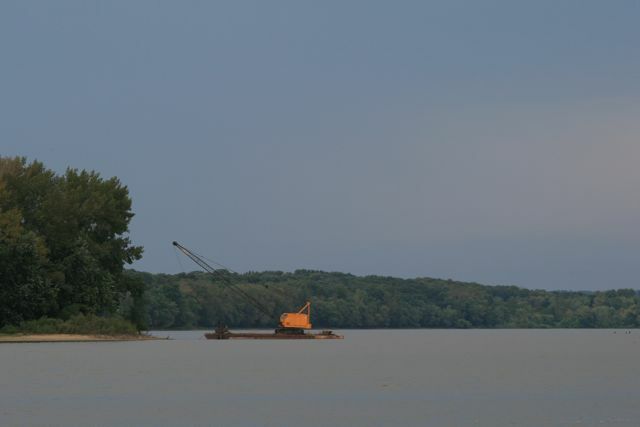 . . but passing barges do! Don't boat where the birds are wading! 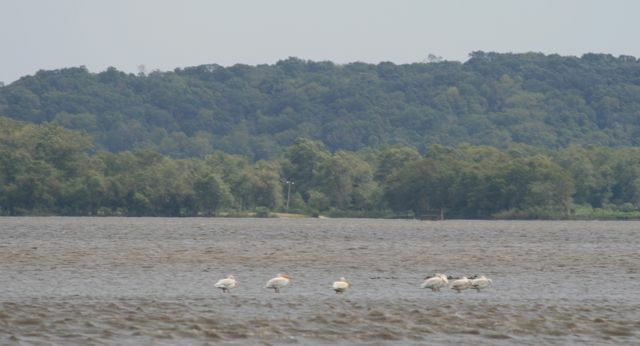 White pelicans are common on the Illinois, and they like Asian carp just fine. 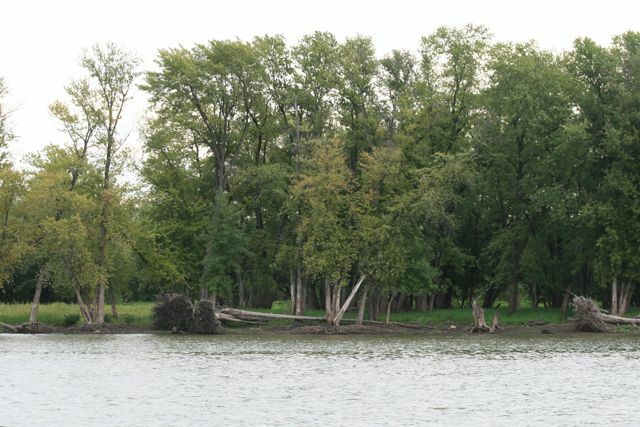 We've also seen many turkey vultures and bald eagles dining on the fish. 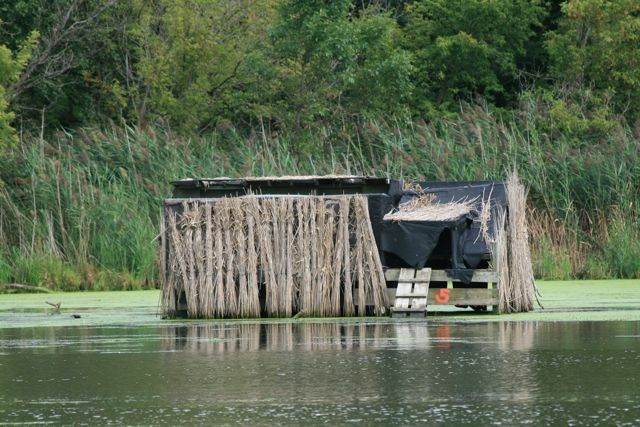 I could easily do a whole photoessay on "the architectural diversity of duck blinds on the Illinois River." 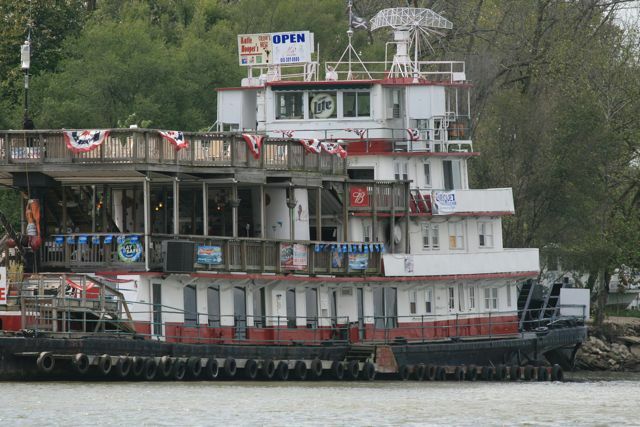 This towboat no longer pushes barges around; it's been converted to a four-story bar n' grille. Just wait until you get to Beardstown!